New York, NY (October 11, 2018) – On October 6, 2018, at approximately 8:11 p.m, a magnitude 5.9 earthquake struck 19 kilometers northwest of Port-de-Paix, Haiti, killing 17 and injuring hundreds of people. Port-de-Paix, 135 miles from Port-au-Prince, was the hardest hit. Our team based in Port-de-Paix was able to respond immediately, joining the front line of the disaster to provide emergency relief to victims with health services, medicine at Hospital Beraca. We were also able to bring much needed medical equipment and supplies to support the efforts of local staff. On Sunday, aftershocks, registered at a magnitude of 5.2, sent people rushing into the streets of Port-de-Paix. The tremors were felt in the capital of Port-au-Prince, sparking fear among residents still affected by the massive earthquake in 2010, which killed over 300,000 people. Haiti is one of the poorest countries in the western hemisphere and has suffered decades of instability, corruption, and violence, leaving its infrastructure severely compromised and its people extremely vulnerable. Emergency personnel reported that approximately 168 homes were completely destroyed and 2080 homes were severely damaged by Saturday’s quake, leaving 2448 families homeless and in need of urgent assistance. 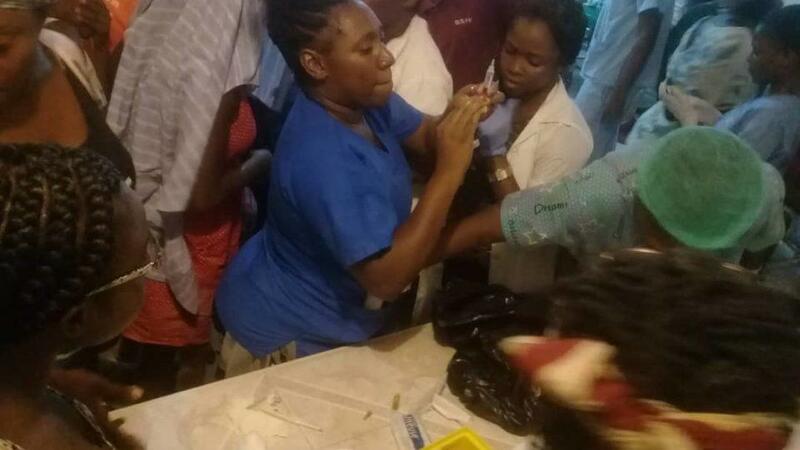 The only hospital in Gros-Morne, Artibonite serves approximately 150,000 people, was badly damaged – and left structurally unfit and overwhelmed by the number of injured people. Moreover, the nurse’s dorm at the hospital was severely damaged, leaving critical staff without housing. Committed to helping the victims of the disaster, CMMB is covering housing costs for nurses left homeless by the earthquake in Gros-Morne and has commissioned a bi0-technician to repair the operating table and anesthesia equipment in Port-de-Paix and a mechanic to repair the generator that stop working by overused. CMMB is also actively seeking partners to collaborate on the rehabilitation of the pediatric ward and operation room at the hospital. CMMB (Catholic Medical Mission Board) is a global humanitarian organization with more than 100 years of experience in delivering the best possible health solutions to women, children, and communities living in poverty. To learn more, visit cmmb.org.